This soft, cozy duvet set is perfect for cold winter nights and will coordinate with any holiday bedroom decor. 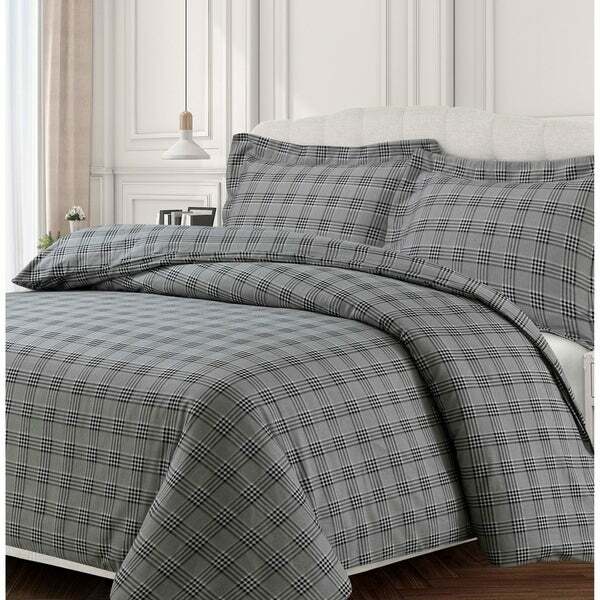 Woven of multiple-brushed cozy and warm 170-gsm cotton flannel, the set includes one oversize duvet cover and two shams. The duvet cover includes internal corner ties that can secure your comforter through its corner loops and prevent shifting.